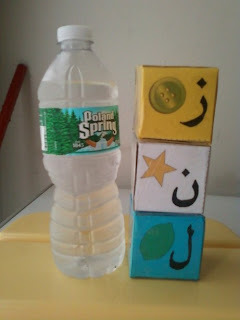 It's almost Ramadan insha Allah and I have been finalizing activities to keep the little ones busy,insha Allah. We have done a few things for arabic practice during the month and currclicks freebie of the week sure couldn't have come at a better time,masha Allah. 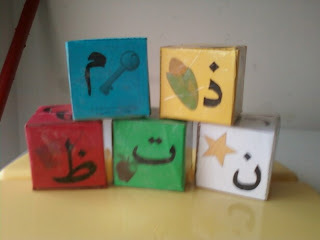 They have posted the neatest little arabic blocks to learn the alphabet and some arabic vocabulary,masha Allah. 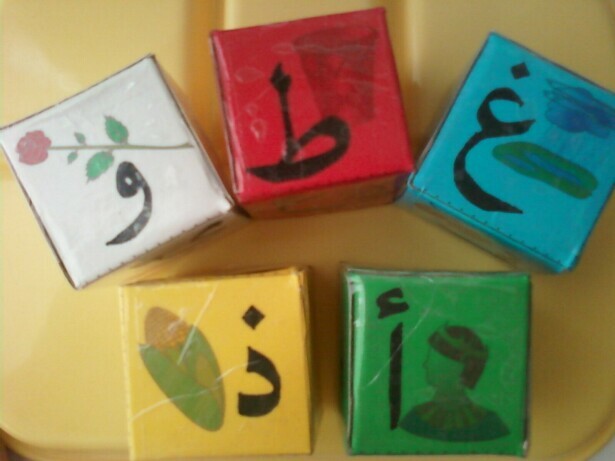 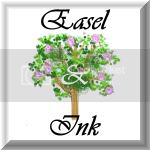 The arabic blocks actually come from Al Tilmeedh Publications which I have looked at and they also have some nice things if you subscribe to them you get access to their products. 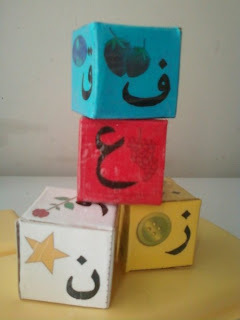 Here are our blocks which we printed on colored cardstock, then I glued them to cereal boxes to make them more durable ( they will be handled by little heavy hands) then I used some clear packing tape to keep them from being ripped up. So go and take a look and download the freebie of the week or if you miss it go over to Al Tilmeedh Publications and support a muslims business,insha Allah.